Most people are no longer happy with the idea of Christmas as a season of excessive consumption and waste. Martin Lewis of MoneySavingExpert has even suggested an outright Christmas present ban, to take the pressure off people who simply can’t afford the extra spend, but feel guilted into buying presents for the entire family. A lot of the time, people don’t know what to buy and end up getting junk that will end up at the charity shop or in landfill. And that’s not to mention packaging waste. = Even though most of us want to be greener and to spend less at Christmas, you only have to walk down the average street on post-Xmas rubbish collection day to see bins overflowing with packaging. Obviously, we still want to have FUN at Christmas, and actually, buying less means that we’re more likely to enjoy ourselves without the worry of a massive credit card bill in January. So here are 10 ways to a cheaper and more planet-friendly Christmas. 1. Send e-cards. I hate writing and sending Christmas cards. It’s a pain in the proverbial, so why not save time, money and trees with some cool and creative online cards. 2. Have a present ban. If you wanted, you could replace it with something like pledging help with things like housework or errands. 3. Turn the lights off at Christmas dinnerand have atmospheric candles instead. 4. Have a meat-free Christmas dinner. A radical idea for some, but you’ll save plenty. 5. 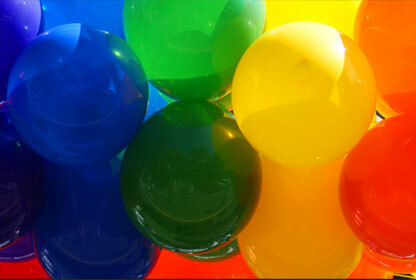 For small children, fill a large, used cardboard box with blown up balloons, and wrap with a ribbon as a gift. Very cheap and incredibly fun. 6. Delay Christmas until January. I know people who do this. Can you imagine how much cheaper it is with everything at a bargain sale price? Delaying puts normally expensive eco-friendly, ethical presents and organic food more within reach. 7. Give a charity gift. See some planet-friendly ones here. 8. 2nd hand books. Consider getting a friend a present from Amazon or a 2ndhand book store. If it’s a book on a topic they love, they won’t mind if it’s used, and you’ll likely have spent under £5. 9. Local farm turkeys. If you can’t handle the idea of going meat-free, is it possible to get your turkey or other meat from a local, non-intensive farm? If you buy organic from the shop it’s going to be expensive, but any other meat in stores will have been intensively and unethically farmed. 10. Make a creative tree that you can take apart, store, and then use again and again. Apartment Therapy has some great ideas here. Wishing you a great, green, and affordable Christmas! Hunters the Estate Agents are the largest independent Estate Agency firm in the UK with over 120 offices nationwide. Let us find you homes for rent in York, or all over the country.